Qatar asked to help save Kushner property empire in NY. Qatar refuses. Qatar declared an enemy by Trump (my cousin was teaching there last year. Shops emptied in about three days. Westerners panicked and got out asap [including her]). Qatar saves Kushner property empire. This may all be slightly incidental to the bigger Saudi/Qatar/USA picture but these creeps use their positions to fill their pockets. should be big scandal really. 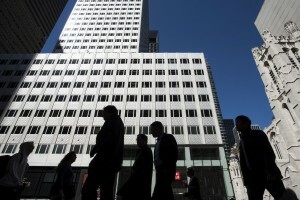 Charles Kushner, head of the Kushner Companies, is in advanced talks with Brookfield Asset Management over a partnership to take control of the 41-story aluminum-clad tower in Midtown Manhattan, 666 Fifth Avenue, according to two real estate executives who have been briefed on the pending deal but were not authorized to discuss it. Brookfield is a publicly traded company, and its real estate arm, Brookfield Property Partners, is partly owned by the Qatari government, through the Qatar Investment Authority. Charles Kushner and his son Jared, President Trump’s son-in-law and one of his key advisers, bought the office tower, which is between 52nd and 53rd Streets, 11 years ago for a record-setting $1.8 billion. But the building today only generates about half its annual mortgage payment, and 30 percent of the 41-story tower is vacant. The Kushner family had been searching the globe for a partner for the building, including meeting as recently as last year with a billionaire from Qatar, Hamad bin Jassim Al-Thani, the country’s former prime minister. But the Qatar Investment Authority is the second-biggest investor in Brookfield Property Partners, Brookfield’s real estate arm. The deal is likely to raise further concerns about Jared Kushner’s dual role as a White House point person on the Middle East and a continuing stakeholder in the family’s company. 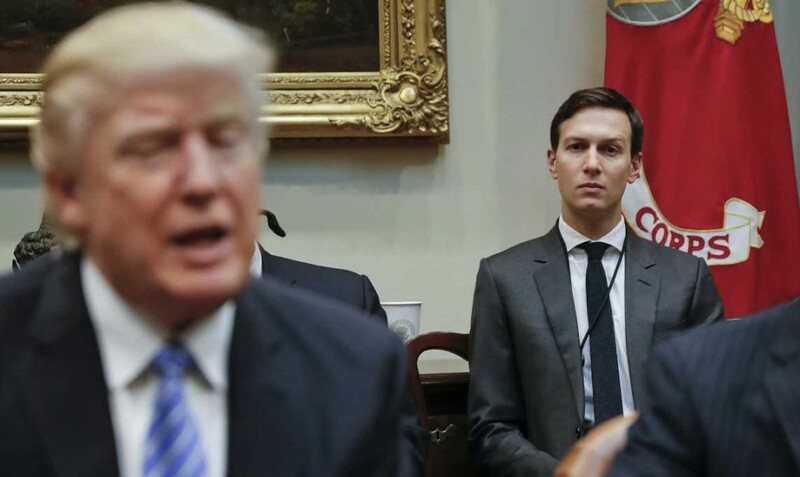 Mr Kushner in February lost his top-secret security clearance amid concerns that foreign governments could attempt to gain influence with the White House by doing business with his firm. In January, The Times reported that his firm last year received a $30 million investment from Menora Mivtachim, a large Israeli insurer, just a few days before Mr Kushner flew to Israel for his first diplomatic trip to the region. Although he resigned as chief executive of the family’s company when he joined the White House in January 2017, Mr Kushner retained most of his stake in the firm. He shed some of the assets — including his stake in 666 Fifth Avenue — by selling them to a trust controlled by his mother. His real estate holdings and other investments are worth as much as $761 million, according to government ethics filings. The Qatar Investment Authority bought a $1.8 billion stake in Brookfield Property Partners in 2014, and is the second-largest investor in the company, ranking only behind Brookfield Asset Management. And the Qatar fund and Brookfield have teamed up on several real estate deals in the United States and elsewhere in recent years, including Brookfield’s retail and apartment complex, Manhattan West, now under construction on Manhattan’s West Side. Brookfield and Qatar also control the Canary Wharf office complex in London. The Qatar Investment Authority is one of the world’s largest sovereign funds, with $320 billion in assets under management, according to the Sovereign Wealth Fund Institute. In 2015 the fund announced plans to invest $35 billion in the United States, and it has since become a sizable commercial real estate investor, taking part in roughly $7 billion in real estate deals and buying up properties around New York and Los Angeles, according to CoStar Group, a real estate research firm. Charles and Jared Kushner bought the tower at 666 Fifth Avenue in 2007, when, with a partner, they borrowed $1.75 billion for the purchase. The tower served as the price of admission to elite Manhattan real estate circles for a developer previously known for building and operating suburban garden apartment complexes in New Jersey and Pennsylvania. But if the father and son team believed that they had purchased a real estate trophy in one of the most desirable locations in the city, the debt-laden tower turned out to be more of an albatross. At the time they bought it, the building only generated enough cash to pay two-thirds of their annual debt payments. But they were betting on a quick turnaround and a big jump in rents. The Kushners sold 666 Fifth Avenue’s prime asset — its Fifth Avenue retail space — for $525 million. But office rents fell during the recession, and two of the building’s biggest tenants left. In 2012 the Kushners were forced to restructure their loans, and Vornado Realty Trust bought 49.5 percent of the building’s office space and gave the Kushners an $80 million high-interest loan. Vornado later bought the Fifth Avenue retail space for $707 million. In late 2016, Charles Kushner and his son were close to a much different kind of deal with Anbang, a giant Chinese insurance company with ties to the country’s ruling elite, and Mr. Al-Thani. That plan involved demolishing the existing building at 666 Fifth Avenue and erecting a $7.5 billion luxury super tower. But the deal collapsed a year ago, amid criticism from legislators over the connection between Jared Kushner’s political role and the family business. The Kushners were facing a ticking clock: The $1.4 billion mortgage on the building comes due early next year, but most analysts say the office space is worth less than the mortgage. If the deal goes through as planned, the Kushner company will buy out Vornado’s share of the office space and pay Vornado $120 million to settle the loan. The Kushner firm has also done other deals with firms backed by Qatar. Late last year, the company received a $184 million property loan from a real estate investment trust controlled by Apollo, the large private equity firm. The Qatar Investment Authority is one of the trust’s biggest investors. Brookfield, which will take over leasing and operating 666 Fifth Avenue, plans to spend hundreds of millions of dollars to give the 61-year-old building a major face-lift: stripping off the distinctive aluminum facade, installing floor-to-ceiling windows, renovating the lobby and installing new elevators, according to the executives. Brookfield has been both a lender and a partner of the Kushners in the past. Three years ago, the two formed a partnership to redevelop the Monmouth Mall in Eatontown, N.J., into a mix of rental apartments, entertainment, restaurants, offices and shops called the Heights at Monmouth. 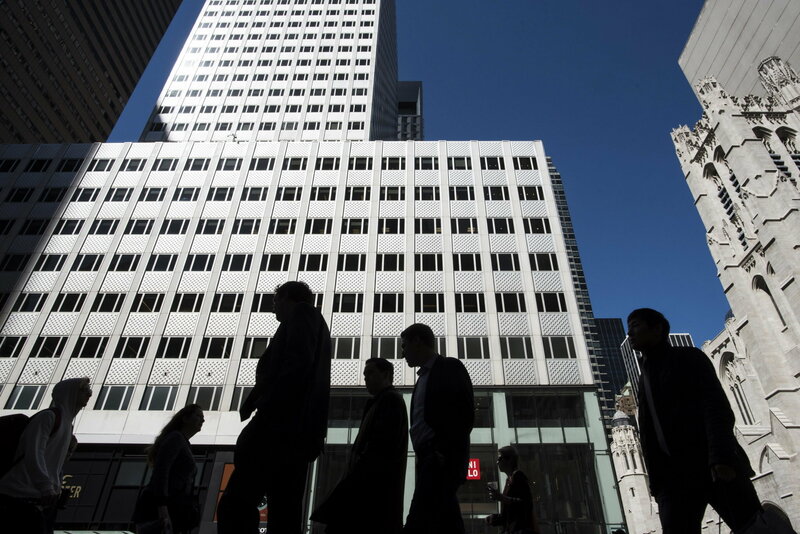 Brookfield was also a lender on the Kushners’ $295.3 million purchase of a block of office space in 2015 at the former headquarters of The New York Times on West 43rd Street. That loan has since been paid off. Maggie Haberman and Kate Kelly contributed reporting.